Nice one, you evil maniac. Nice, although technically 'I' corresponds to 'we', and 'us' in singular would be 'me'. Yes, I'm fun at parties. I WILL NOT BE ROBBED OF MY MOMENT OF VICTORY!!!!! What about a little math problem? The prince is three times as old as the princess was when the prince was twice as old as the princess is. How old are they? The prince is three times as old as the princess was when the prince was half as old as the princess is. How old are they? There are several good answers. If the prince is 6 and the princess is 4, the prince is now 3 times as old as when he was 2 and therefore twice the princess' age of 1. The reason I'm not sure if I've understood you properly is that it seems pretty straightforward, so maybe I'm missing something?! When she was 2, he was 4. Therefore he wasn't half of her current age (which is also 4). Ah okay, gotcha. Misread it I think! BINGO! And very well done! 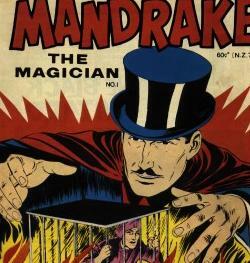 @Mandle - it was a terrific example of obfuscation. SO obvious, yet you cleverly set up a completely erroneous train of thought. It was only when I scribbled down "i - singular ... us - plural" as a reminder to come back to the riddle later that the painful obviousness hit me! It took a while for me to get my head around the wording, but I got there eventually. The prince is 9 years old, three times the age that the princess was one year ago when she was 3 and the prince was 8, which is twice the age that she is now at 4. We're looking for Xb and Yb. More Hobbit riddles! Don't answer if you read the book or seen the movie and already know the answers. "That eye is like to this eye"
I don't know if I'm solving the riddles or remembering the solutions. It's been so long since I read the book and I never got that far in the movie series. I gave up after the first one was so painfully trying to be LOTR except without the entertainment, and just decided to keep my good memories of the LOTR films intact. It was tough, but I found them all! Also, I think you made typo, there should be a 30º instead of that ?. I'd like to say that I used my amazing math skills, but I've actually tackled this puzzle before and remembered the answer. You are, but the toilet visit got you on track.